We are pleased to announce that Jacob Lindle (Archdiocese of Cincinnati) is the First Place Winner of the 2018 “Circle the Vatican” Race. Several summers ago Fr. Eric Nielsen, Program Director of The Rome Experience, challenged the seminarians to a race— a race to run the full-length of the arms of St. Peter’s Square. The seminarians gladly accepted the challenge and launched what became the Annual “Circle the Vatican Race”. Inspired by the Directory for the Ministry and Life of Priests, which states that “…it is necessary for the young cleric to grow in a spiritual environment of true fraternity and thoughtfulness, which becomes manifest in personal attention as well for physical health…,” the race has become a fun way for the seminarians to stay physically active as well as to bond with their classmates. 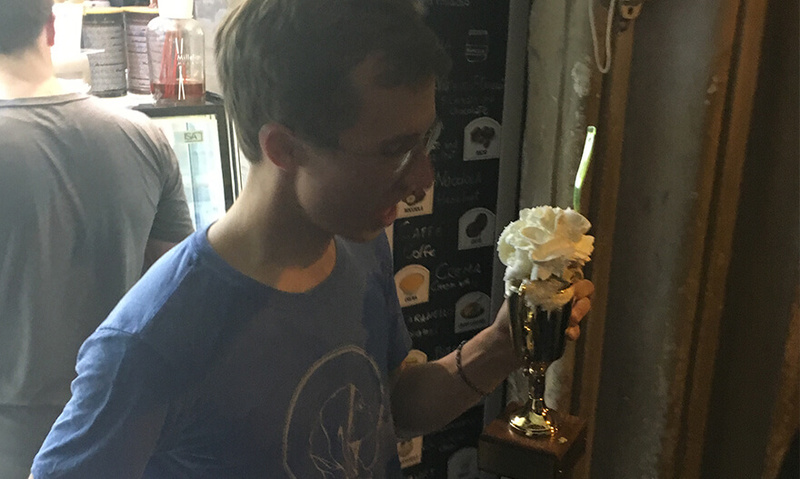 Best of all – the winner of the race wins a gelato of his choice served in a special trophy and his name will be engraved on a plaque among the winners of previous races.